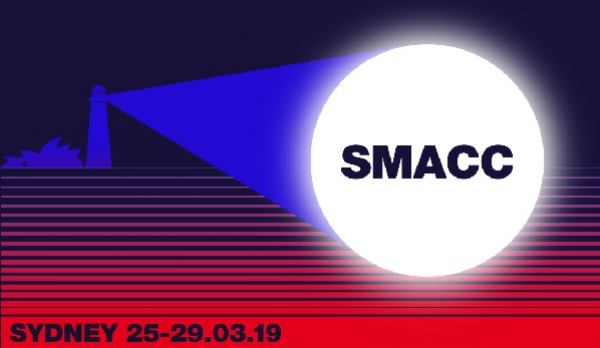 The SMACC conference in Sydney in March 2019 will be the final and ultimate SMACC. With a world class lineup of speakers, delegates from across the globe, and an incredible workshop series, this is the one event you do not want to miss. The IFAD, International Fluid Academy is a SMACC-affiliated website. The SMACC conference provides the highest quality of Critical Care education and is guaranted to innovate and inspire. We have the most engaging, informative and inspiring educational presentations. Together, let’s make SMACC stand aside from the other Critical Care conferences and that’s the key – ‘Together’. Following your feedback from DasSMACC we have implemented some changes to improve and enhance the experience for you in Sydney. Read more by clicking below. The SMACC conference in Sydney in March 2019 will be the final and ultimate SMACC. With a world class lineup of speakers, delegates from across the globe, and an incredible workshop series, this is the one event you do not want to miss. DON'T FORGET THE SMACC TICKET BALLOT OPENS MONDAY! The ticket ballot for Sydney opens on Monday 20 August!! The purchase process has been streamlined to make it fairer and easier for you to get tickets for Sydney, so put the date in your diary and we can't wait to see you in Sydney. Copyright © 2018 The Association Specialists, All rights reserved.